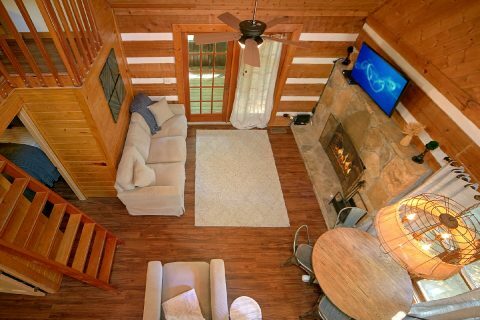 Looking for a log cabin that's close to Pigeon Forge and Wears Valley, TN? 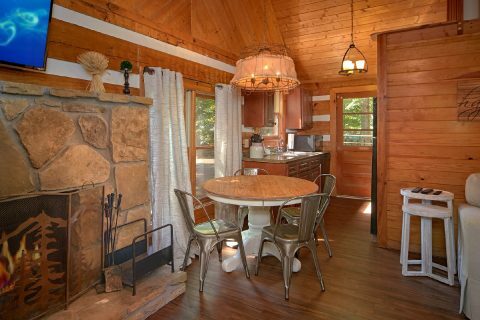 "Mountain Moonlight" is just the sort of cabin you need for your vacation! 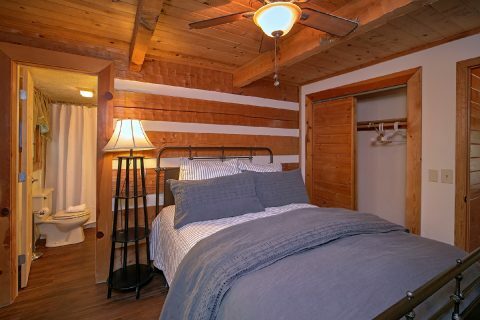 This comfortable 2-bedroom cabin boasts a peaceful spot in the mountains that's only 6 miles from Pigeon Forge and only 8 miles from Wears Valley, so guests are never far from incredible attractions! 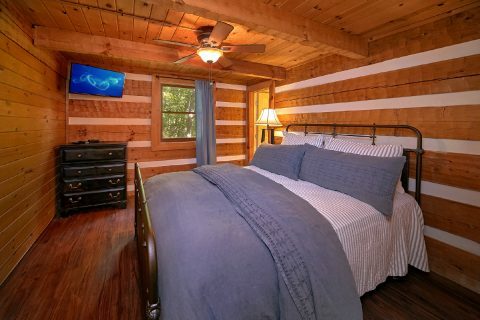 From the exciting roller coasters of Dollywood to the excellent dinner shows of Downtown Pigeon Forge to the small mom & pop shops of Wears Valley, there's so much to explore only a short drive from "Mountain Moonlight." 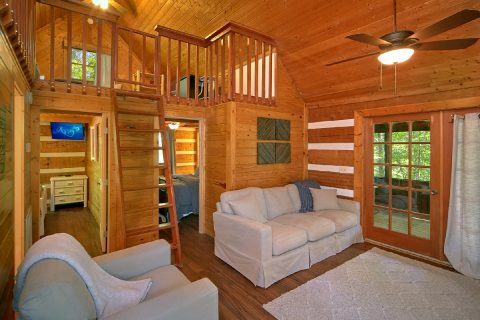 As an added perk, this cabin in the Wears Valley area provides quick access to the Great Smoky Mountains National Park via the Metcalf Bottoms entrance. 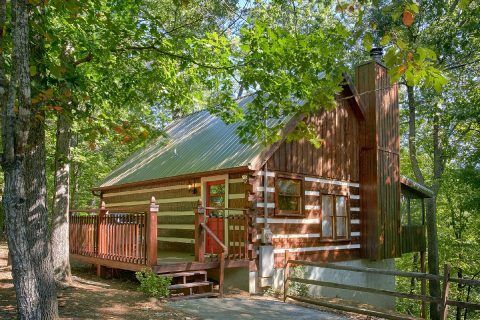 This cabin offers the charm of a rustic exterior, but inside you'll find a recently renovated space. 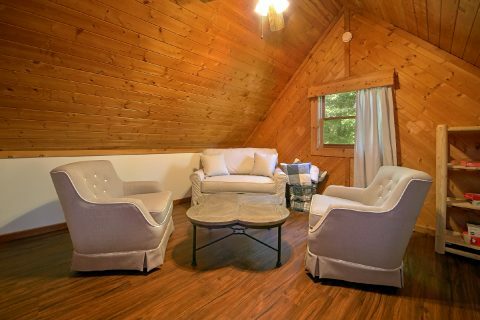 Better yet, this 2-bedroom cabin offers everything you need for a relaxing stay. 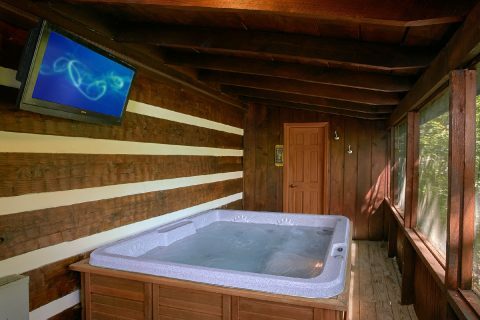 On your cabin's back deck, you'll find a porch swing and a hot tub for enjoying the lovely forest scenery. 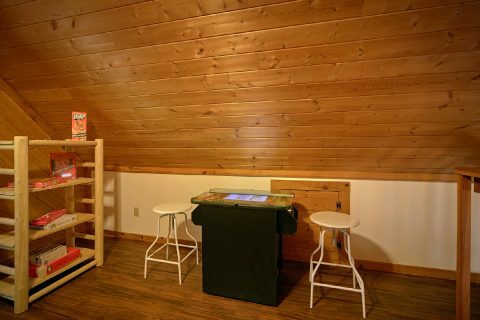 In the upstairs loft, you'll find a fun arcade game that the kids are sure to love. 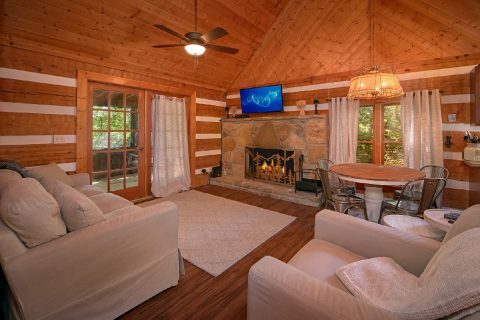 Lastly, in the living room, everyone can gather around the wood-burning fireplace to enjoy quality time together during the trip. 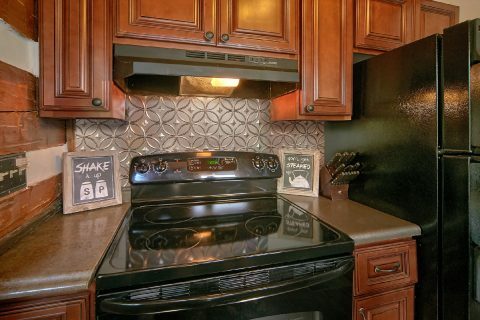 In addition, this rental also offers convenient features. 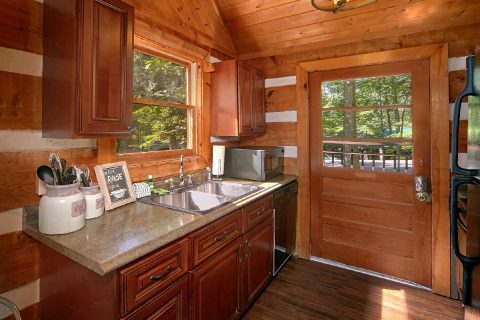 In addition to a charcoal grill for hosting a summer cookout, this cabin offers a full kitchen that makes it easy to prepare delicious dinners during your stay. WiFi Internet makes it easy to share pictures of your Smoky Mountain adventures with family & friends back home. A washer/dryer also makes it easy to pack light during your stay. 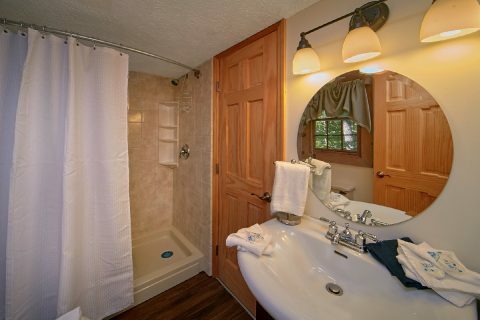 Lastly, this cabin offers level parking for two vehicles. 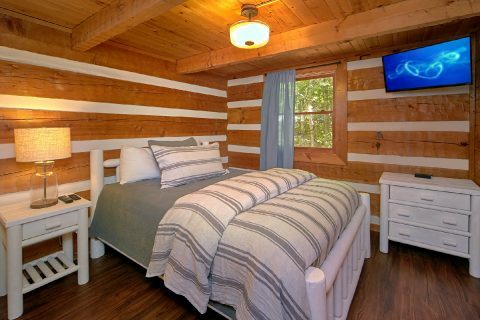 For staying well-rested on your vacation, this cabin provides a queen-size bedroom with access to a full bath as well as another queen bedroom. Altogether, "Mountain Moonlight" sleeps up to 4 guests in comfort. Need more space for your vacation? 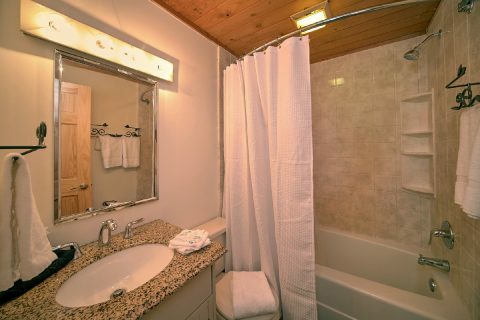 Cabins USA offers several other cabins that are close in proximity to this cabin. For more details, simply contact our reservations office so we can help you in planning a multi-cabin vacation! 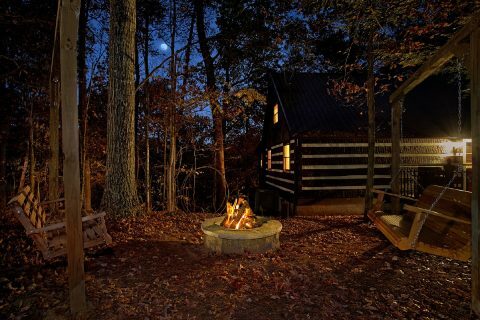 Don't forget to reserve "Mountain Moonlight" online with Cabins USA to earn a special 15% discount on your stay! Start planning a vacation that keeps you close to Wears Valley, Pigeon Forge, and the Great Smoky Mountains National Park today!